Challenged by Milanese design gallerist Rossana Orlandi to “give plastic a second life,” Italian architect Tiziano Vudafieri has created the Wilhelm Lamp, a unique light fixture and tribute to the renowned German industrial designer Wilhelm Wagenfeld. 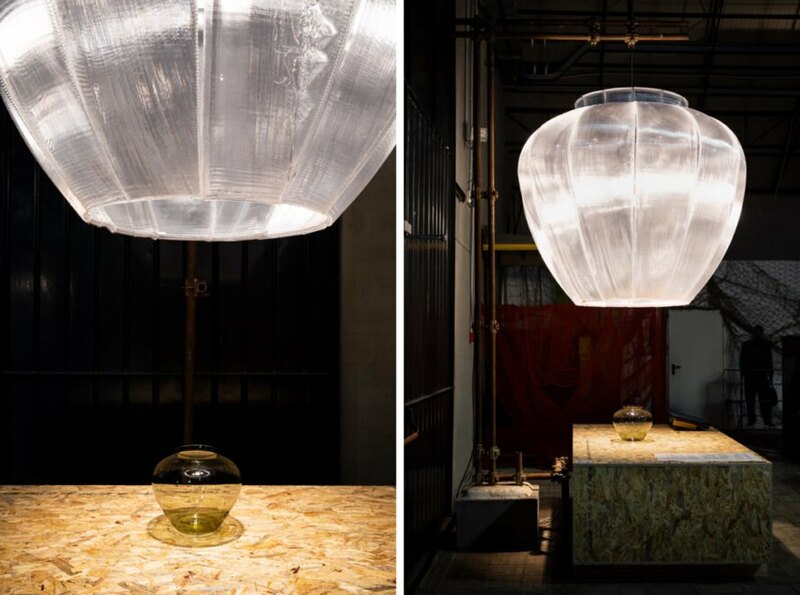 Presented at Rossana Orlandi’s exhibition Guitlessplastic – Master’s Pieces during Milan Design Week, the Wilhelm Lamp reinterprets the Wagenfeld’s modernist glass vase as an enlarged pendant lamp that is 3D-printed from recycled polycarbonate. First launched last year, Rossana Orlandi’s Guitlessplastic project was created to challenge the public discourse around plastic. The initiative has included talks and numerous collaborations between brands, artists and architects invited to showcase responsible uses of plastic through recycling. 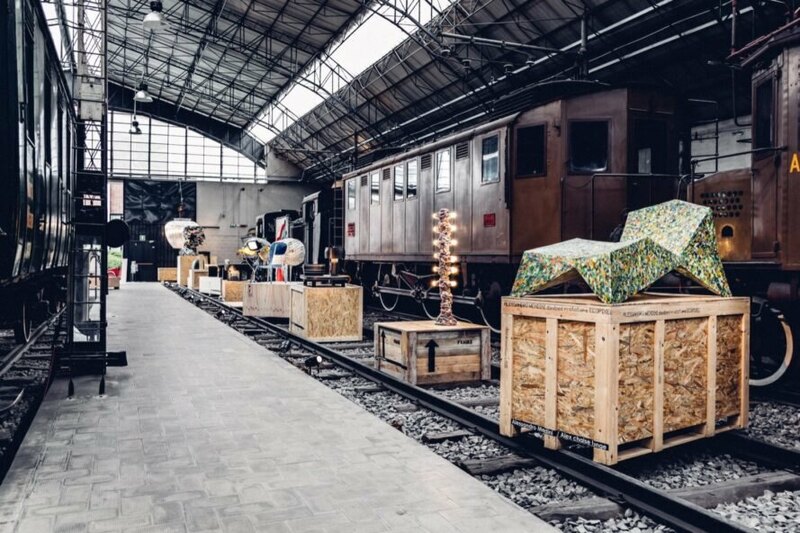 The Guitlessplastic – Master’s Pieces collection exhibits unique works made out of recycled and recyclable plastic by renowned artists, designers and architects and is currently on show at the Railway Pavilion of the Museum Scienza e Tecnologia Leonardo da Vinci in Milan until April 14. As an admirer of Wilhelm Wagenfeld, Tiziano Vudafieri owns a 1935 Wagenfield glass vase as part of his personal collection and used it as the inspiration for the Wilhelm Lamp. Created in collaboration with BAOLAB, LATI and GIMAC, the lamp was 3D-printed into a large, bulbous shape from recycled polycarbonate, a material that boasts high thermal and mechanical resistance. At the exhibition, the translucent pendant lamp is suspended above the 1935 Wagenfeld vase, which is bathed in the lamp’s light. 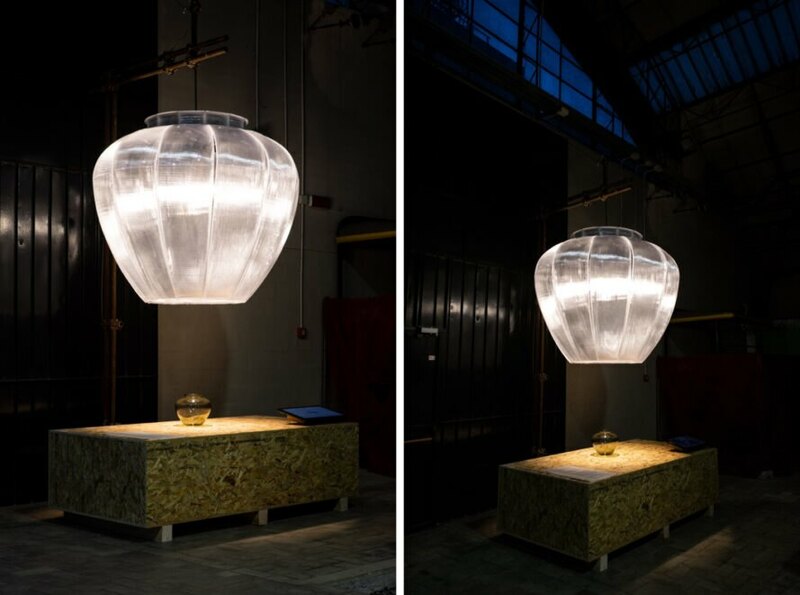 Architect Tiziano Vudafieri designed this unique lamp from recycled polycarbonate. The lamp draws inspiration from designer Wilhelm Wagenfeld's modernist glass vase. The lamp was presented at Rossana Orlandi’s exhibition Guitlessplastic – Master’s Pieces during Milan Design Week. The Wilhelm Lamp is 3D-printed from recycled plastic. The design mimics a 1935 Wagenfield glass vase. A look at the lamp's design.